2003 Hyde Drift Boat is used for all Floats North of Broad Ripple. 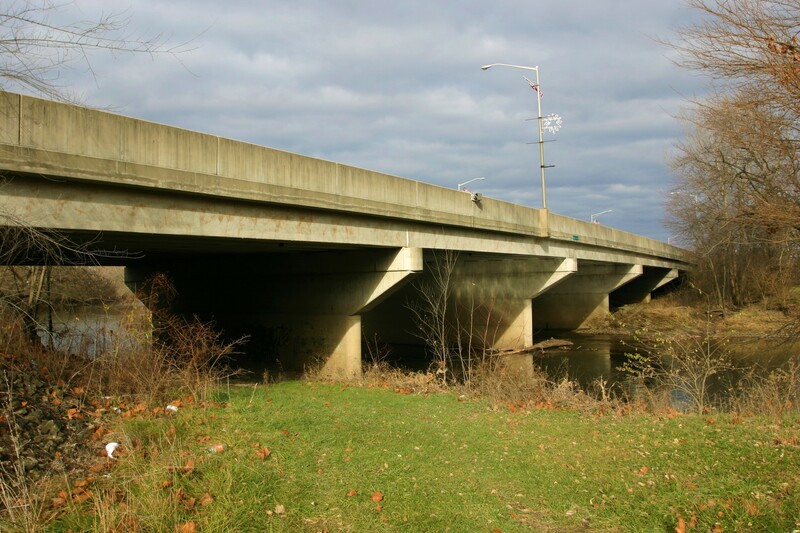 Raible Avenue Bridge in Anderson. 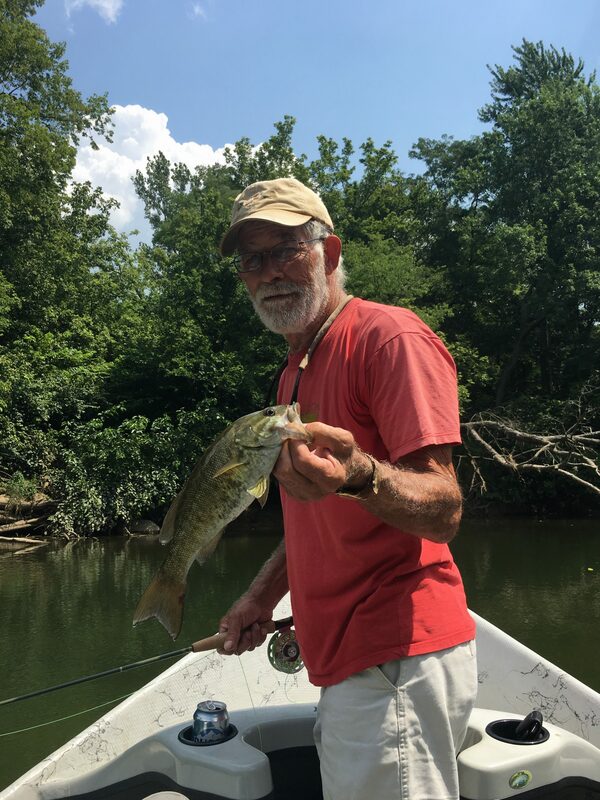 11 miles from Raible Bridge in Anderson to Perkinsville Public Access Site near Bonge's Tavern! Float from Anderson, IN to the Perkinsville public boat ramp. Your car will be at the boat ramp in Perkinsville. We can shuttle you to the Clare Avenue River House that sleeps 4 if you are planning to stay as our guests. Lodging is free if you book two consecutive guiding trips. 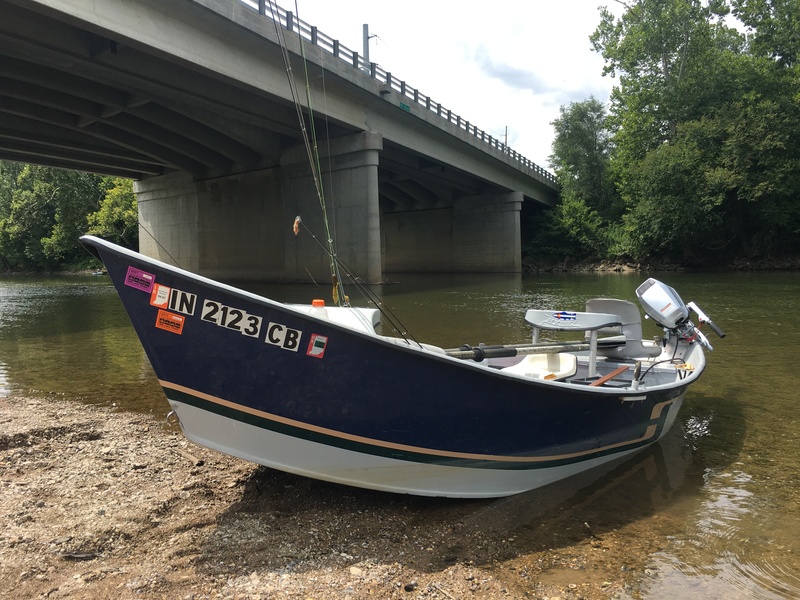 This float is perfect for fishers from out of town looking to pack in a couple of different floats over two days. Indian Creek – The creek enters the White Rive at mile marker 70. Old River Bend – At mile marker 76 where the White River once changed course and back again.